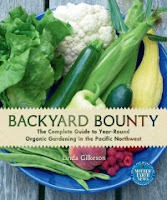 I got a review copy of the book, Backyard Bounty: The Complete Guide to Year-Round Organic Gardening in the Pacific Northwest, from my publisher and I have to say, I've been loving it. Even though I've read a ton of books on gardening and gardening in the Pacific Northwest, in particular, I'm still learning a great deal. The author, Linda Gilkeson, a master gardener, lives in the BC area and the content is certainly catered towards those living in the Pacific Northwest. But I have to say that the vast majority of the book would apply not only to those who live in similar climates but to all gardeners as well. If you are interested in entering the random drawing for a copy of this book, leave your name in the comments of this post and tell me if you are a new, seasoned or expert gardener! If you are a "fan" of my Facebook page, you can get a second entry, just add an extra comment saying you LIKE me, you really LIKE me! You have until midnight PST Saturday, May 28th to enter. Good luck and happy gardening! ha, i've had my permaculture certificate for almost 20 years and I still think of myself as a newish gardener. every year, every nook and cranny of my yard, every season - they're all different. loads of trial and error over the last few years when i began to garden seriously. I'd like to think that I'm a seasoned gardener, but really I'm just newbie farmer for some odd number of years. Thanks for the opportunity! I am a seasoned gardener. I'd LOVE to win this book! I am a fairly experienced and very enthusiastic gardener and have been steadily de-turfing my property over the past 4 years. 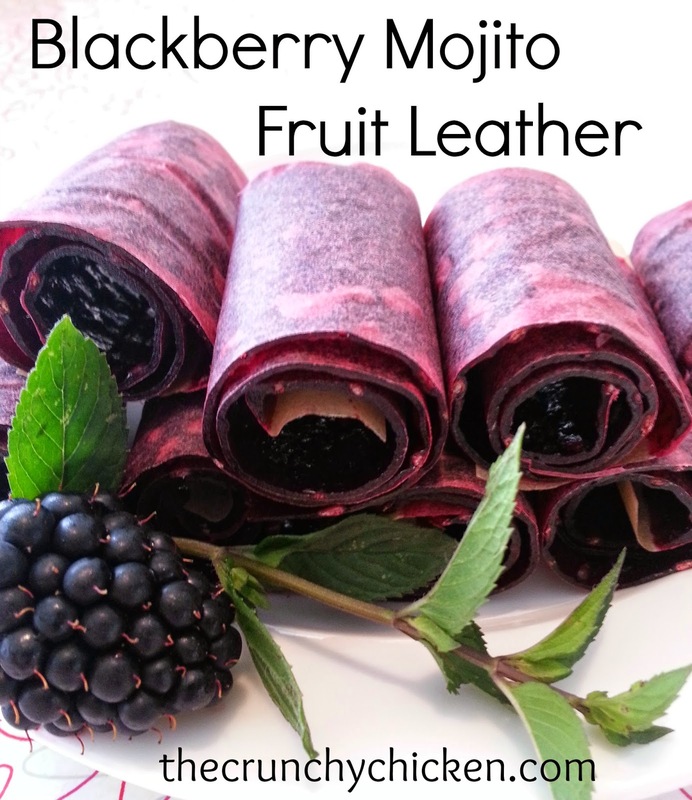 I live in the Pac NW, Like you on FB and would love to win the book! I am also a PNW gardener - I'd say "seasoned". Would LOVE this book!! I "like" you! I really, really "like" you! I garden on the Oregon coast, I am a "seasoned" gardener, though every year I learn I don't know much. I'd love to win the book! I would love to win this book! I'm a seasoned gardener, but always looking for new ideas & inspiration. I a seasoned gardener that continues to learn. One never has the same garden twice...each day is different from the day before. I am a fairly new gardener, learning more and more all the time! A BC resident, this book sounds wonderful! I'm somewhere between a beginner and seasoned gardener. I'd love to win this book. I liked your Facebook page cause, I really do like you! I think I am a seasoned newbie gardener? I have been gardening for the last three years and have gone from indoor and container gardening to building my own raised beds. I have heard great things about this book, so thank you for the giveaway. I am a novice gardener! Last year was my first garden, with limited success. Trying raised beds this year and starting a little smaller. Also, I like you, I really like you! The book sound great. Something I could put to good use. I have been gardening for about forty years. Each year is a learning experience and I love to read books on gardening. i am working on building my yard in to a permaculture oasis. I think of myself of a new gardener, even though I've been gardening off and on for 11 years. I guess my husband and I are semi-seasoned gardeners. We've had large gardens the last two years but this year we can't garden because we are trying to sell our house in Vermont and move back to Idaho. Since our garden was so very large our Real Estate agent advised us to take it back to lawn as a selling point. While this makes me very sad it was accurate. Hopefully in the future large gardens will be selling points and not detractors. I'm a fairly new gardener, but my wife is more seasoned. Between the two of us, we seem to get it done. I grew up on a farm and we had a large garden, but then I stopped gardening for a while as an adult and just started up again a couple of years ago...so I guess I'm probably somewhere between seasoned and newbie. This book sounds great! I'd say seasoned I'm a seasoned gardener. I just discovered your blog through a friend on FB and I love how much information you've got here. I also liked you on FB. Thanks! I was going to pass on entering, given that it's a book written with the PNW in mind. But since you say it would be mostly applicable to other areas too, I'd love a chance. I would say I'm a seasoned gardener. I don't think I'd ever call myself an expert gardener, no matter how long I work at it. I agree with Thomas Jefferson, who said: "Though an old man, I am but a young gardener." Thanks for the chance to win. I would love to have this book! I've been gardening for the last twelve years, but after this spring am feeling like a newbie. I really need help with composting and ideas for some sort of tunnels that will work in my area. I'm ok, just a major procrastinator, maybe this'll help. The book sounds fascinating, and very informative. I would greatly appreciate the chance to win this. Oh, and I Like you! Though I've dabbled in gardening since I was a wee kiddo. . . I'd definitely categorize myself as a beginning gardener. I was all excited to drop the Sally Fields, "I like you, I REALLY like you", but other people did that. . . but I do. Like you that is. looks like a great book. I'm a seasoned gardener, but certainly no expert. I consider myself a seasoned gardener. I grew up helping my Dad who's an expert gardener... I don't have my own garden but can't wait for the day when I do! I am a new gardener, having moved to a house with a backyard after 15 years of apartment living. I'd love to read this book! Looks like a good one! I'm a new gardener. This is the first year that I have had garden space. I am equally excited and terrified. I do have radishes coming up, and my garlic looks amazing (although I am very anxious that scapes haven't started to shoot up yet), but my peppers and tomatoes are still in a vulnerable stage. There are just about done with the hardening off period, and then we'll see what happens when they go in the ground!! I think of myself as a seasoned gardener. I grew up helping my grandmother on weekends in her huge garden. From canning to freezing to eating as much as we could raw. We also donated a ton of food to families in need. We also helped out gram with her farm which meant taking care of her goats, rabbits, chickens, and everything else. I continue to garden all these years later and teach my children how to do it as well. It's one thing that I am so lucky to have learned from my grandmother/mother and now i'm happy to pass it along to them. I am a newbie gardener-the only thing I've ever grown successfully is mint! I am a seasoned gardener, and I love container and in-ground gardens, veggies/fruits and flower gardens. The newest addition to our garden this year is an evergreen huckleberry! I consider myself on the new side of gardening. I've grown beautiful vegies some years and others failed miserably. I love to learn about new gardening methods and I like to research, a new book would be good. I do 'like' on your facebook. I'm a semi-newbie gardener in Puyallup. I'd love this book. Actually, I'll probably get it eventually either way! Thanks for the review! Yay free books! Yes please! Looks like a great book for a newish grower like me. Good question. I'm not new to gardening, but am returning to it after a long hiatus. I still make beginner type mistakes, though, including the one where you go overboard and plant way more than you will need (or want to weed). I'm a new gardener in the PNW (in BC) so would be very interested in winning this book! And on Facebook, I LIKE you, I REALLY like you! I'm interested and am a seasoned gardener coming back to gardening after a 3 year apartment induced hiatus! I liked you on FB because I love your blog! I would describe myself somewhere between new and seasoned... I've been growing food in our yard for a few years now, but I STILL have so much to learn! I just went and "liked" your Facebook fanpage, too! Total novice gardener here.. trying to start everything from scratch this year but feeling a bit overwhelmed. Would love the extra knowledge another book would provide! I'd love to read it. I've been gardening in SE Alaska for several years and wish I could try a small farm. I am a seaonsed gardener, but would love to learn more. My goal this year is to can 2 jars of food for each day of the year.